WAA now awards Indoor Classification badges. The principles are similar to those for the Archery GB Indoor Classification system and the awards are based on handicaps rather than directly on scores. This means that they can be obtained from any of the indoor rounds listed in the Archery GB Rules of Shooting. 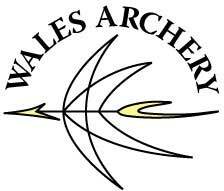 Unlike the Archery GB system, however, awards are available for Barebow and Longbow in addition to Recurve and Compound. As with our other badge schemes, there are six levels of award: White, Black, Blue, Red, Gold, and Purple. The levels are intended to correspond broadly to the Archery GB Class F (White) to Class A (Purple). The intent is that relatively new archers should be able to claim awards - the required Recurve score for White on a Portsmouth round, for instance, is 315. Badges are free to WAA members and may be bought for a small charge by non-members. Each level of badge may be claimed only once. There is only one design of badge, which therefore covers all bowstyles and age groups. For the White, Black and Blue awards, rounds do not have to be shot in competition but must be shot under formal conditions, for example at a Club Target night. Three qualifying scores are required, but it is sufficient for the Club Secretary, Records Officer, or Handicap Officer to countersign the Claim Form and scoresheets are not required. For the Red, Gold and Purple awards, rounds must be shot in competition and scoresheets must be submitted. Three qualifying scores are required and the form must be countersigned by a Club official as above. Further details, including the required handicaps, are given on the Claim Form.